The Sustainable Markets Programme (SMP) is an initiative taken by WWF-Malaysia to transform industries/businesses into producing goods & services needed in ways that avoid damaging natural systems. The SMP team works directly with key commodity producers, buyers, government agencies, financial and investment institutions, smallholders, certification agencies and consumers to improve the production of commodities that affect forests, freshwater and the global climate. Among the areas, we work on are sustainable production and consumption, with a focus on Sustainable Palm Oil, Responsible Forestry (timber, pulp and paper), Responsible Rubber, Water Stewardship and Sustainable Finance. These areas of focus put together, have the largest impact on deforestation, emission of greenhouse gasses from land use and critical impact on livelihoods of hundreds of millions of people. The most strategic solution identified to achieve sustainable consumption was by using the WWF’s Theory of Change, which is by working with companies that have the biggest demand for these commodities. Thus, by influencing them to demand higher production standards, we can push the commodities market to a tipping point where sustainability is the norm. Through multi-stakeholder engagements, corporate engagements and sustainable financing, SMP works to mobilise action and support from producers of key commodities, suppliers, investors and regulators in the global transition towards a sustainable future. The SMP team also provides guidance and assistance to companies interested to embark on the journey of sustainability or scale-up their current sustainability commitments, especially in relation to their supply chains. 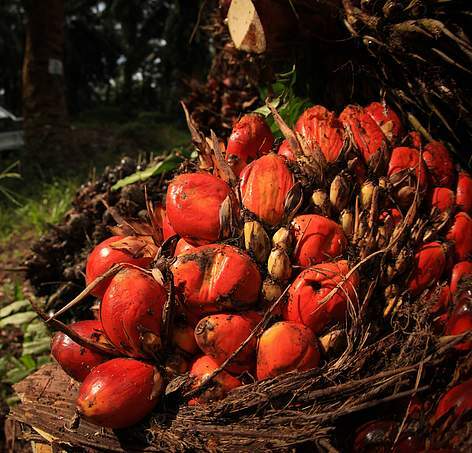 WWF-Malaysia recognises that there is a need to strengthen, improve, and enhance the Malaysian Sustainable Palm Oil (MSPO) Certification Standards in a move towards greater robustness and accountability within its application towards mandatory certification. At present, WWF - Malaysia does not endorse the MSPO Certification Standards, as it does not satisfy the WWF Principals to Actively Endorse and Recognise Effective and Credible Standards and Certification Schemes(WWF, 2012). WWF-Malaysia will continue to advocate for transparent and effective multi-stakeholder consultative process to strengthen the MSPO standards.